gamma-Secretase is an enzyme complex that is linked to the formation of amyloid plaques. This is why gamma-secretase is an important target for therapeutic intervention. The trouble is, known inhibitors of gamma-secretase interfere with cell-surface receptor called Notch, and inhibition of its processing is understood to be detrimental. Earlier, Merck had developed a series of gamma-secretase inhibitors, whose activity was attributed to equatiorial placement of the sulfone substituent (the axial congener was found to be inactive). There is an interesting paper in J. Med. Chem. that documents recent efforts in this program. The newly created analogs are much more effective in forcing the sulfone to occupy the desired equatorial position. How is this accomplished, you might ask? 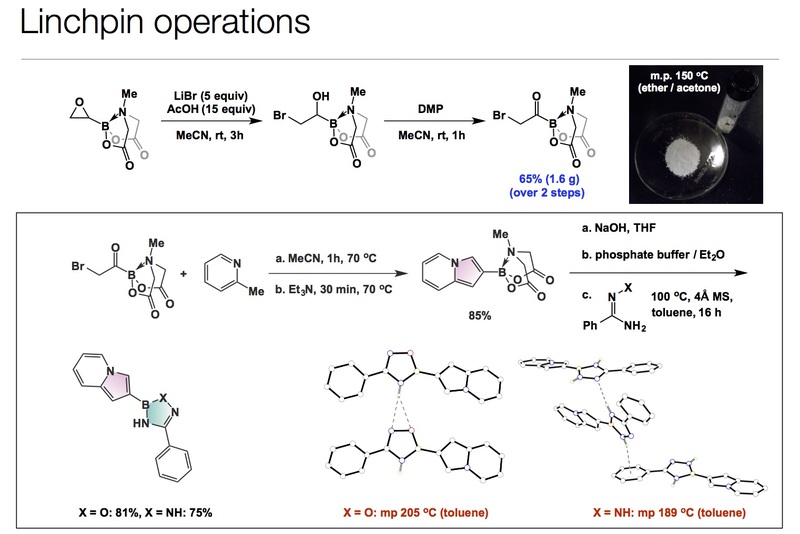 Take a look at the compound in the grey box below… When it gets close to impossible to draw a neat looking structure in ChemDraw, I know that I am dealing with one ugly molecule. I refer to how the C-F bond is depicted (if drawn straight down, it would encroach on the sulfone unit). Putting trivial matters aside, this compound is a really interesting example of problem-solving in conformational analysis. That is on one hand… On the other hand, this polycycle proves that there is just so much room for improvement in organic chemistry. I specifically refer to the dearth of atom-economical methods to enforce conformational states.Those who think this area of inquiry has matured are dead wrong. The monster in grey box features an interesting nugget: the phosphorus-containing ring. As a matter of fact, I was drawn to this paper due to this unusual heterocycle, an area that is of great interest to my lab at the moment. There is a Gordon Research Conference dedicated to the Origins of Life. Without a doubt, this is the most eclectic gathering of some of the oddest people in the science community. I have always wanted to attend one, but never had a chance. I can only imagine the types of heated discussions that go on there. The trouble with this branch of science is that we will, of course, never be able to run control experiments to prove or disprove any hypothesis. Thus, ideas about how life emerged are relegated to conjectures. But people keep trying and I really enjoy reading about attempts to explain how some of the primordial forms of life might have emerged. Replication and molecular evolution using trivial (pre-RNA and pre-DNA) molecules has been shown in models, but never convincingly enough. We don’t even need to go as far as replication: thinking about how peptide bonds might have been created in water is tough enough! This allows me to bring up a curious paper by Ghadiri and co-workers, published in Astrobiology (this is not something I read all the time…). In it, the authors make a suggestion that carbon disulfide (CS2) might have acted as the coupling agent. I like this idea and I think the experiments are convincing, especially the fact that this peptide bond formation works in water. Besides COS, CS2 is certainly one of the cheapest and most readily available coupling agents, which might have been in abundance when all those sparks were flying on earth several billion of years ago. I have always been interested in mechanisms that lead to unusual elimination outcomes. Not that a decent leaving group is lacking in the reactions I am thinking about. On the contrary, a fairly middle-of-the road leaving group is, in fact, present. It’s just that the bond that is being broken is not the one you would typically expect to break. Consider the example that features an sp2 carbon-bound bromine (below). I learned about this interesting case from Professor Derrick Clive of the University of Alberta. I was in Edmonton over the past two days, attending a PhD exam of one of John Vederas’s students, Shaun McKinnie. The defense went really smoothly (it was an excellent thesis) and my long day culminated in a nice dinner with John and Shaun. But I kept thinking about the elimination sequence discovered in the Clive lab. You have to agree that it represents a peculiar reaction. The process features a tautomerization and aromaticity-driven removal of the sp2 carbon-bound bromine. While some might think that this is no miracle, especially once you consider how the double bond “dance” places bromine in a perfect position to eliminate in a vinylogous manner, I think this is the point here. The sequence offers a useful trick to make unusual phenols, among other things. The principle of microscopic reversibility (PMR), Curtin-Hammett principle (CHP) and Hammond postulate (HP) are the three pillars of organic reactivity. PMR enables us to construct a reasonable reaction path if the mechanism of the reverse process is known. 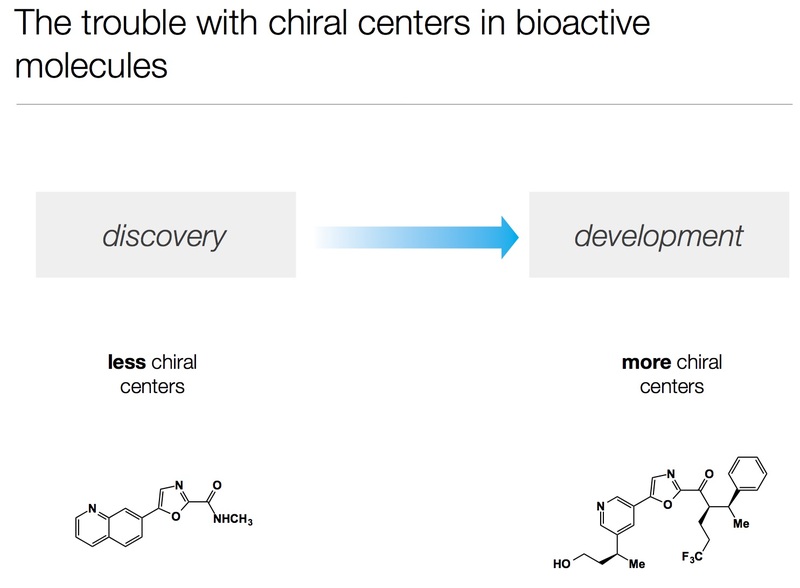 CHP tells us that stability and reactivity do not necessarily correlate, whereas HP allows us to infer about the transition state structure using intermediates that are sometimes detectable and/or isolable. It is difficult to see what we would do without these fundamentals. I am teaching my first year organic chemistry course and, while we do not go into the details of PMR and CHP, we do discuss the main elements of HP. The reason HP is useful is that it allows us to weed out the pervasive fallacy “Compound Z must be the reaction product because Z is more stable than the alternative Y”. While I have a habit of saying that it is generally incorrect to state that more stable things are kinetically preferred, it is not necessarily true and here is an example. Professor Alabugin (http://www.chem.fsu.edu/~alabugin/), whose great talk I just heard at the conference in Moscow, recently published an influential paper in which he re-examined the course of some anionic cyclizations. It appears that there must be a major re-evaluation of some stomping grounds of cyclization mechanisms involving alkynes. The 4-endo/5-exo comparison presents a particularly interesting scenario: the reason for the lower barrier to form the 5-membered ring lies in the exothermicity of the reaction. In other words, the transition state that leads to the formation of the 5-membered ring is lower because the product is more stable. This is an important application of the Marcus theory to polar mechanisms.